Larissa Leclair is the Founder of the Indie Photobook Library now at the Beinecke Rare Book Library at Yale University. Roadside Lights By Eiji Ohashi. Zen Foto Gallery, 2017. I have to thank Photolucida’s Critical Mass for introducing me to this work and Yuri Long for sharing the book this year. 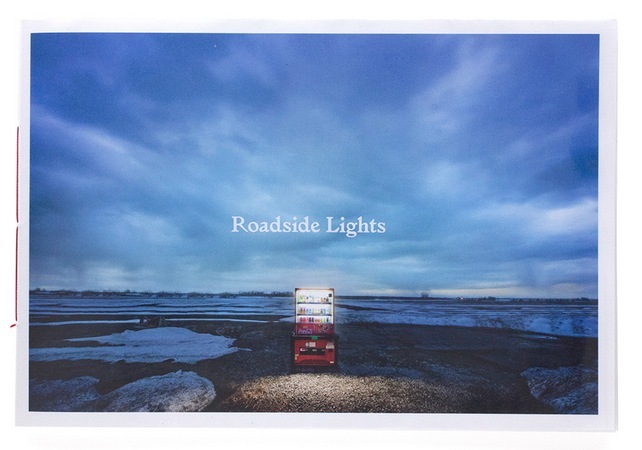 Ohashi’s Roadside Lights photobook excels in its simplicity. It’s one signature and the focus is the photographs themselves. The glow of the sky or streetlamp accentuates the never-wavering light of the vending machine that quietly waits in solitude. We sense this feeling of isolation and end up anthropomorphizing these inanimate objects. Hidden Mother By Laura Larson. What was seen as a practical solution for photographing children in the nineteenth-century portrait studio, now comes across in such a haunting way. The usual neck brace or props used to steady oneself for the exposure of the photographic plate did not offer any support for those who often could not sit up on their own. Instead, the support was human; cloaked in some backdrop fabric in order to isolate the child. Looking at these images, now without the nice oval mat in a viewing case, we see the scribbled out face of the human support, an arm that reaches into the frame, a mother hiding behind a chair, alluding to the unsung role of mothers and caretakers. I can never get enough of these historical photos, and throughout the book, Larson inserts her own reading and relationship with family photographs, especially those of her adopted daughter. Well done by new indie publisher Saint Lucy Books and Mark Alice Durant. 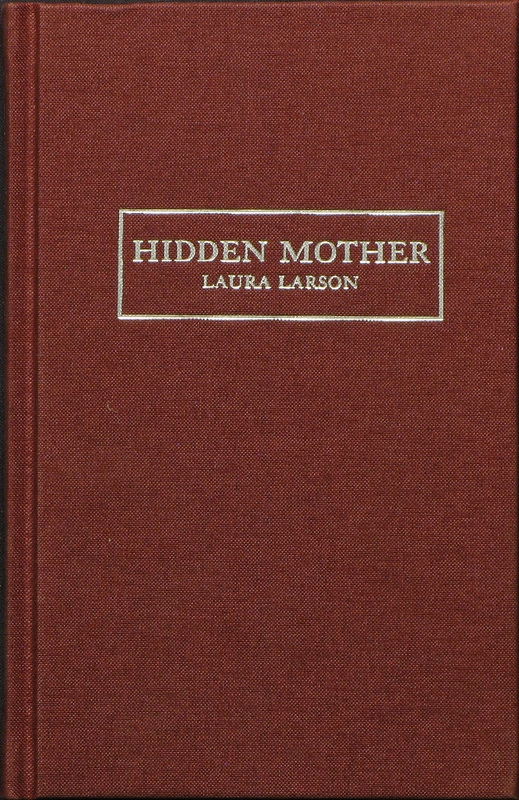 Hidden Mother By Laura Larson. saint lucy books, 2017. The Restoration Will By Mayumi Suzuki. There is such a profound silence found in this photobook. It is both a document and a memorial. 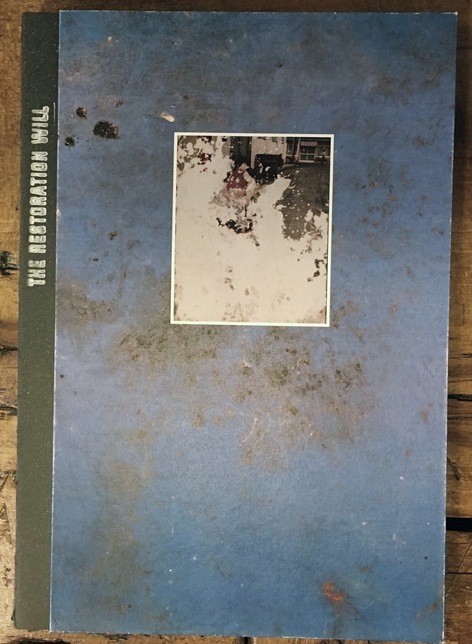 The Restoration Will by Mayumi Suzuki brings together archival photographs rescued after the tsunami in Japan from her family home and father’s photography studio in Onagawa, along with images created through a recovered camera lens. 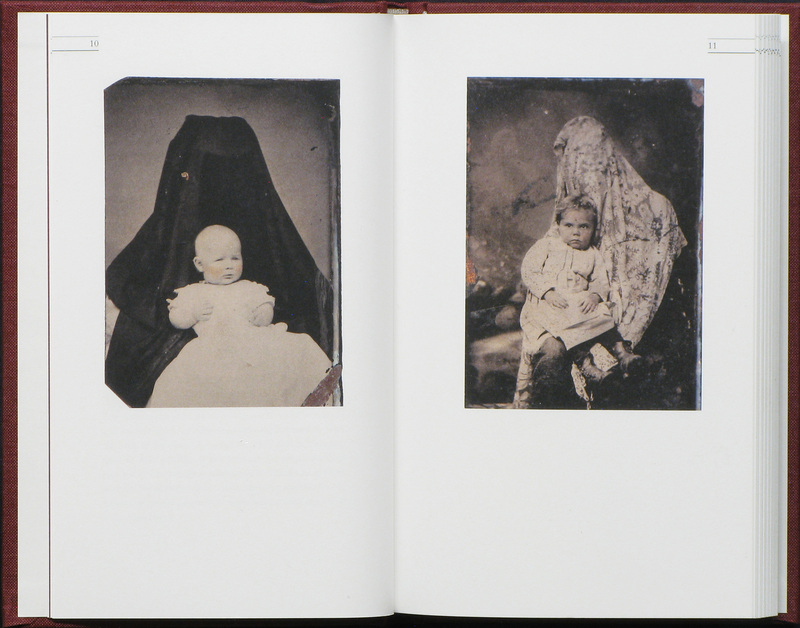 To Suzuki, the black and white photographs represent the imagined view of the deceased. These otherworldly, dense, and dark images give a sense of being both underwater and lost between life and the afterlife. They leave you breathless. Breathless when thinking about Suzuki’s immense loss and breathless in a psychosomaticexperience of the photographs themselves subconsciously shutting down our own senses. 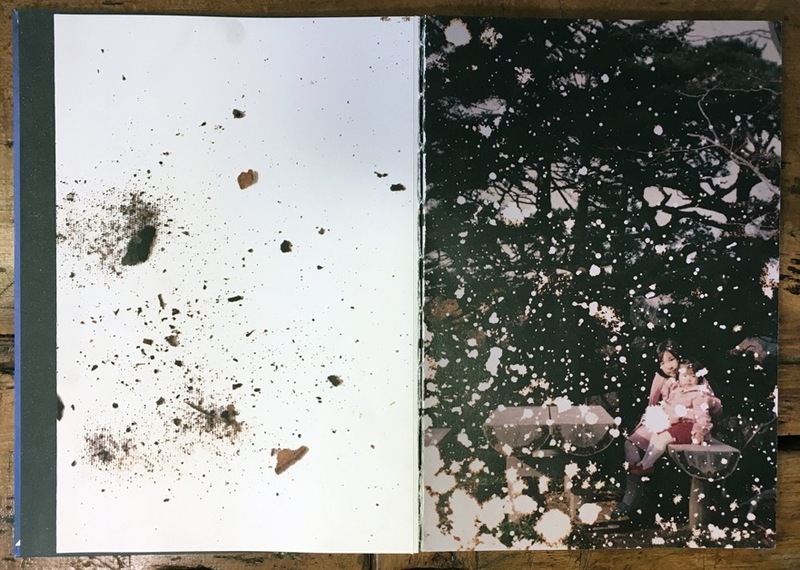 The artist book, now out of print, was produced in collaboration with Yumi Goto and Jan Rosseel and the Reminders Photography Stronghold in Tokyo. The publisher Ceiba, in Italy, has just published a trade edition. The Restoration Will By Mayumi Suzuki. Ceiba Editions, 2017.